Orlando's high-profile attractions -- Walt Disney World, Univeral Studios and Sea World, all cost serious money -- and usually over several days. Golf is a favorite Orlando activity, and it also makes you dig into your wallet. 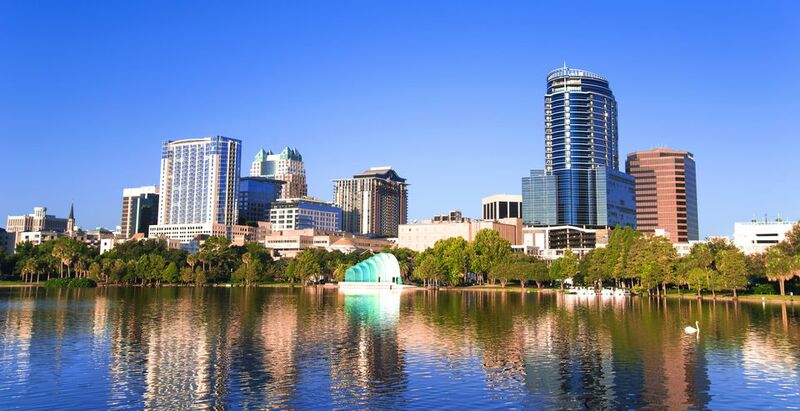 But the Orlando area also has an abundance of cultural options that never charge admission. Check out these 14 always-free museums for some low-key and low-priced fun. Since 1990, The Hurston has been a place where the public can view works by artists of African descent. The ever-changing exhibits, which feature a variety of mediums, such as photography, painting, and sculpture, typically run three to four months. Hit the jackpot in Winter Garden, which has two museums with free admission.The museums include collections of memorabilia dating from the early pioneer settlement to the present, with special emphasis on the citrus and railroad industries. The Heritage Museum is also a repository for the archives of the history and restoration of Lake Apopka. Founded in 1982, the Holocaust Museum presents an overview of the history of the Holocaust and a memorial to the victims with a permanent exhibit and frequently changing special exhibits. Because many visitors are school-age children, graphic images and disturbing representations are kept to a minimum. The library collection of more than 5,000 volumes and 500 videotapes is open to the public. Originally built as a memorial to Henry Shelton Sanford, a lawyer, diplomat, citrus producer and the founder of the City of Sanford, the Sanford Museum houses his library and manuscript collection and a collection of 19th-century decorative arts. With expansions in 1973 and 1993, the museum also serves as a repository for the city's history. Research collections are available to the public. Located in a quaint log-cabin style building, the Museum of the Apopkans displays collections of artifacts and documents that bring to life the history of Apopka and northwest Orange County. In addition to the domestic room, which features items from daily life in the early 1900s, other rooms display objects from various local occupations such as beekeeping, logging, cattle ranching and farming. There is also a library available for research projects. Pack a picnic lunch and take a day trip out to Fort Christmas Historical Park. Located east of Orlando a few miles north of Florida State Highway 50 in Christmas, Florida, the 25-acre park features a replica of the original fort used during the Seminole Indian War, a traditional Florida "Cracker" house, seven pioneer homes and a sugar cane mill. Several picnic pavilions, a children's playground and tennis, volleyball and basketball courts are also a part of the park's facilities. The Lake Mary Museum, in addition to offering free admission, also schedules a variety of free exhibits, lectures, and programs at the Frank Evans Center Museum. The museum is home to a collection of artifacts, photographs, documents and other materials related to the history of Lake Mary and also has a dual mission to serve as a focal point for cultural activities and events to increase awareness of the city's rich history. As an extension of the community-based school of art, The Crealde School of Art has several galleries that provide educational shows for students, members, and visitors. The Alice and William Jenkins Gallery displays the work of noted Florida artists along with national and international artists. The Showalter Hughes Community Gallery features work of students, faculty and emerging artists. The Contemporary Sculpture Garden, located in the attractively landscaped Crealde campus, features more than 60 three-dimensional pieces of outdoor art. Opened in 2007 and jointly managed by the Crealde School of Art and the Winter Park Community Center, the Hannibal Square Heritage Center was created to preserve the history of this diverse, culturally rich neighborhood and the African-American contributions to Winter Park. A team of historians, an anthropologist, documentary photographers and community representatives have put together a collection rich in historical photographs, contemporary portraits, and oral histories... history told by those who lived it. The center often features traveling exhibits in partnership with the University of Central Florida, the Orange County Regional History Center and the Zora Neale Hurston Museum. Located in the Grand Bohemian Hotel in downtown Orlando, the Grand Bohemian Art Gallery exhibits more 100 works of art by local, regional and internationally known artists. The gallery specializes in contemporary painting, art glass, ceramics, jewelry, and sculpture. Many people are not aware that the Orlando City Hall is home to two art galleries, the Terrace Gallery and the Mayor's 3rd Floor Gallery. Curated by the Public Art Department, the Terrace Gallery features national and international artists and collections. The Mayor's Gallery displays the work of Florida artists. Each gallery has ongoing exhibits that change throughout the year. The Osceola Center for the Arts in Kissimmee is dedicated to providing accessible programs to encourage artistic expression in the community. The exhibits at the art gallery at the center showcase Florida artists and change on a monthly basis. Check the website for current exhibit details. You can visit the Casa Feliz Historic Home Museum on Tuesday and Thursday from 10 a.m. to noon and on Sunday afternoon from noon to 3 p.m. You can also arrange private tours for 15 or more people. The Andalusian-style masonry farmhouse, a significant architectural treasure in the ​Winter Park community, was designed by noted architect James Gamble Rogers II. The open house includes a docent-led tour of the house and the James Gamble Rogers Studio museum room and the opportunity to enjoy the "Music at the Casa" series. Check website for music schedule.